Filipinos are generally known for their love for two things: their families and their faith. The upcoming Holy Week is the one time of the year when these are best demonstrated while we take a break from our daily commitments. Running from 28 March to 1 April this year, the season ends with the Easter Sunday, considered the most important of all days and one typically celebrated with the family. Here are a few hotels in the Philippines offering exclusive Easter deals to make your family holiday even more special. Novotel Manila Araneta Center is one of Quezon City’s new in-demand hotels. Although it brands itself as a mid-scale hotel, those who have stayed in it can agree that it deserves a much better ranking because of its excellent staff service, topnotch food, ideal location and genuine understanding of what it means to provide a healthy and fun space for families to stay in during a significant time like the Holy Week. 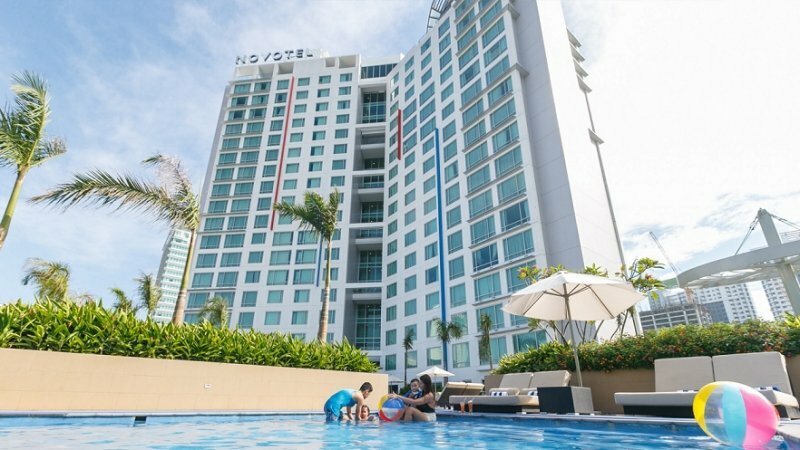 Learn more about Novotel Manila Araneta Center on TripZillaSTAYS. In celebration of Easter, Novotel Manila Araneta Center is bringing in Pororo and Friends with the Easter Blowout featuring an egg hunt, delicious snacks, fun games, a bubble show, loot bags and more amazing treats and surprises! For the best deal, you can avail of the Rise N Shine with Pororo and Friends which, along with a complimentary ticket to the Easter party, entitles you to an overnight stay at a Superior Room good for two adults and two kids. You’ll get a buffet breakfast at Food Exchange Manila plus two hours use of the Kids Club! In a different yet equally sought-after side of Quezon City lies the new Seda Vertis North, a 400+ room hotel that now offers probably the most stunning view of the entire city from its higher floors, particularly from the Straight Up roof deck bar. Family guests will adore the international and local options at Misto Restaurant and the opportunity to let loose at the hotel’s own outdoor pool overlooking the city, gym and spa. Seda Vertis North’s elegant accommodations and facilities are also an ideal backdrop for celebrating Easter especially with its Egg-citing City Getaway where you get to enjoy special room packages that cover all your family holiday activities! Bring your baskets and join the ultimate Easter eggs-perience for Seddy’s Easter Adventure. People who know about the Holiday Inn brand would know that it is originally designed for business travellers. But guests who have spent a good amount of time in its hotels would also be aware of its family-friendly features. Holiday Inn Hotel & Suites Makati, for one, is directly linked to the Glorietta shopping mall, immediately eliminating the need for a family with kids to go far for recreation. More importantly, all of its rooms are smoke-free! 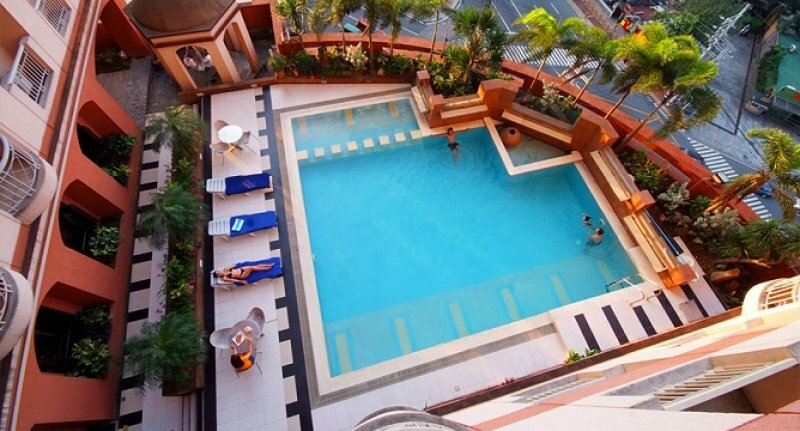 Learn more about Holiday Inn Hotel & Suites Makati on TripZillaSTAYS. Families will enjoy their stay even more with Holiday Inn Makati’s Easter Fun in the City where you can avail of special room rates for the Deluxe Room. It comes with a buffet breakfast for two at Flavors Restaurant, while kids get to eat for FREE! The package also includes the chance to participate in an egg decorating activity and a movie marathon during the Easter weekend, as well as a ticket to Grinn’s Chocolate and Candy Event on Easter Sunday and a loot bag. Located in the heart of the Central Business District, Makati Diamond Residences has earned a reputation for being a go-to hotel for bleisure travellers in Makati. The European and Filipino-themed interior provides a relaxing ambience that also encourages productivity. Perhaps one of the standout features of the hotel is the Dining Card, which lets guests dine in any of the hotel’s partner restaurants in the area. 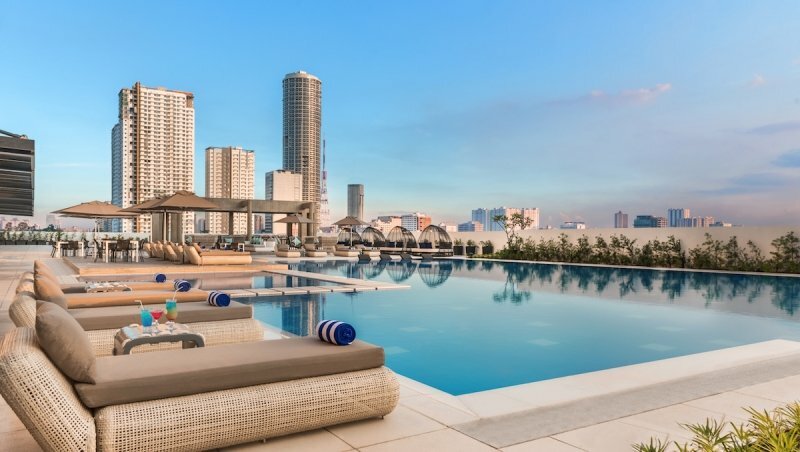 Learn more about Makati Diamond Residences on TripZillaSTAYS. By availing the Holy Week Staycation of Makati Diamond Residences, you and the entire family can stay at either the spacious Studio or One Bedroom Suite, and get exclusive access to hotel amenities to suit your business, gastronomic and wellness needs. You can also enjoy a 20% discount on the Easter Sunday Buffet at Alfred featuring grilled lamb chops, seafood paella and more! Makati Poblacion District’s first five-star hotel is the home of the first Onsen spa and first thermal bath in the Philippines, giving guests a chance to simulate experiencing Japan’s hot springs. This record is enough to make visitors look forward to having a staycation at I’M Hotel. The hotel is also loved for giving its guests personalised services and its acrylic-bottomed infinity pool. Families will also enjoy activities like taking turns relaxing in the gorgeous tub of their room, watching movies and even playing ninja race tag! 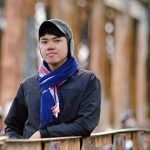 Learn more about I’M Hotel on TripZillaSTAYS. Spend your Easter at I’M Hotel and you’ll be treated to no less than a fun arcade-filled time with the Easter Arcade Escapade. Join the hotel mascots, Elsa and Bumblebee, at the Narra Ballroom which will feature game machines, lifesize board games and interactive booths! You can also enjoy the hotel’s grand Easter Show, a buffet and candy corner, and loads of freebies for taking home. A total experience is in store if you book I’M Hotel’s Eastercation Package for an overnight stay, access to the hotel’s favourite facilities, buffet breakfast and tickets to their Easter event. Located right in Quezon City’s entertainment zone of Timog Avenue, Torre Venezia Suites is every modern and fun-loving family’s home on a Northern Metro Manila getaway. The hotel sits close to the city’s biggest media networks, food parks and shopping malls which can be easily accessed during a day out of the hotel. Indoors, the Italian-inspired accommodations provide a stylish touch consistent with the rest of the hotel. For more bonding moments, families can dine at the Rocca Ristorante or enjoy physical and mental relaxation at Nuova Spa. This Easter, get a 20% discount on all room categories at the hotel with complimentary breakfast by availing their Easter Treat promo. It is also inclusive of two tickets to the Easter Egg Hunt Party where the entire family can participate in exciting games together, eat snacks and of course, join the hunt for eggs! Belonging to the new lifestyle brand sáv Hospitality, founded by a man called Edwin Chuang, Pacific Cebu Resort exudes modern class suitable for the new generation of travellers and families who like to embrace different things. Its innovative style aside, the resort is an advocate of marine conservation and environmental protection. 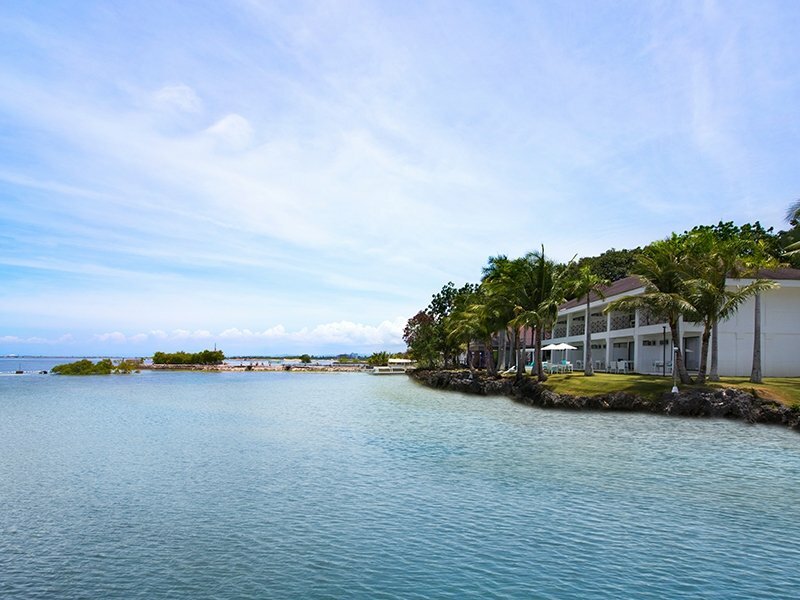 The resort also lies close to some of Lapu-Lapu City’s more family-friendly tourist attractions like Olango Island, Mactan Marina Mall and Mactan Island Golf Club. The Easter Sunday is an exciting time to be in the resort as it will be hosting The Amazing Race Easter Egg Hunt, which includes a day use package for kids between three and nine years old, special lunch buffet, free use of swimming facilities and free easter giveaways! The Shangri-La brand is known for being one of the few high-end hotels that consistently put enormous importance to ultimate relaxation, whether through its accommodations or its recreational and wellness facilities. 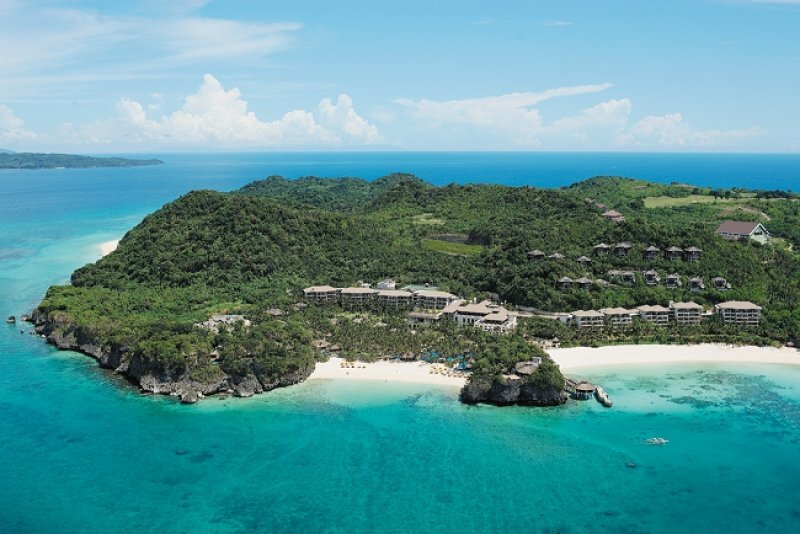 Shangri-La Boracay is no different, and actually takes the level of elegance even higher through their use of specially selected native and natural materials. Like other hotels on the island, it offers endless options of things to do for the family on and off the waters. True to its philosophy, Shangri-La Boracay offers a more laid-back take on its Easter celebrations. Here, your family can simply sit down at Vintana Cafe for the Easter Extravaganza Buffet, or at Rima for a four-course dinner. While you’re in the property, try their Family Fun Package which gets you an overnight accommodation with buffet breakfast, round-trip land and sea transfers, ₱5,000 worth of dining credit and scheduled indoor and outdoor activities for both adults and children, among others. 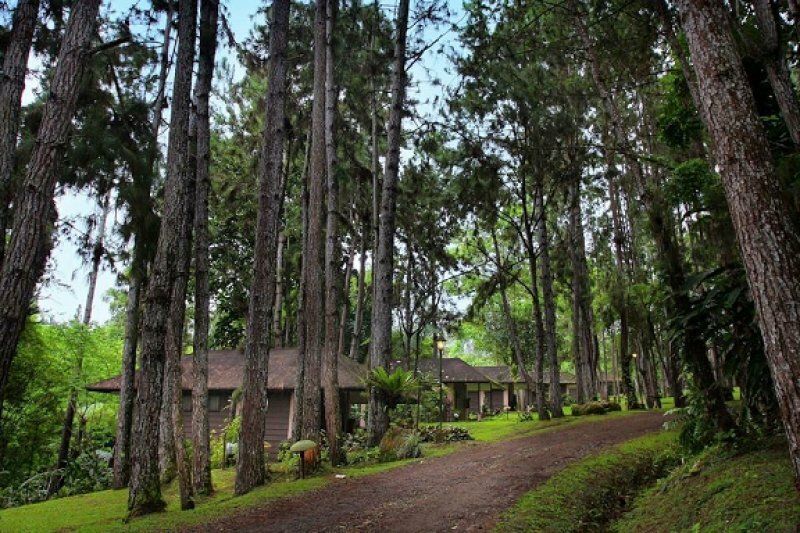 When it comes to merging comfort, nature and a whole lot of fun, Eden Nature Park and Resort in the Toril District of Davao City has it all worked out. Aside from a long list of accommodation options, the 80-hectare property also provides a cosy and private atmosphere for the family to enjoy quality time, thanks to the cool mountain weather enjoyed all year in the area. Depending on your family size, you can enjoy special rates for rooms at Eden Nature Park and Resort this Holy Week, including the Vista Cottage, Holiday Lodge and Gardenia Room. The rate also covers the use of the swimming pool, entry to the Fishing Village and buffet breakfast. The kids can also participate in the Kid Chella Easter Egg Hunt at the resort’s Lower Veranda, where they are served with plated snacks and introduced to activities like face painting, egg decorating, egg cookie designing and many more! As you celebrate the end of the Holy Week, don’t forget that it’s also a time to enjoy the company of your loved ones and share meaningful moments together, and these hotels are here to make it easier for you. For more ideas on the best holiday hotels in the Philippines, check out TripZillaSTAYS!